‘We are equal. 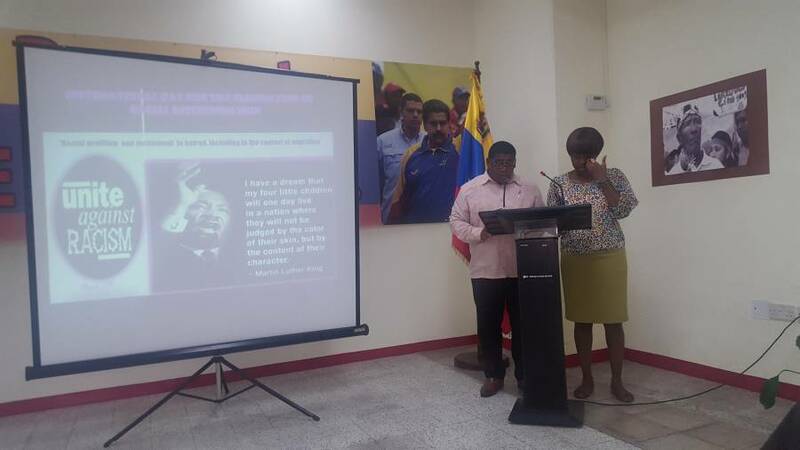 Racism ends with me.’ This was the message which the audience present at the activity to recognise the International Day for Elimination of Racial Discrimination, carried out at the Venezuelan Institute for Culture and Cooperation, on Wednesday, 22 March 2017. 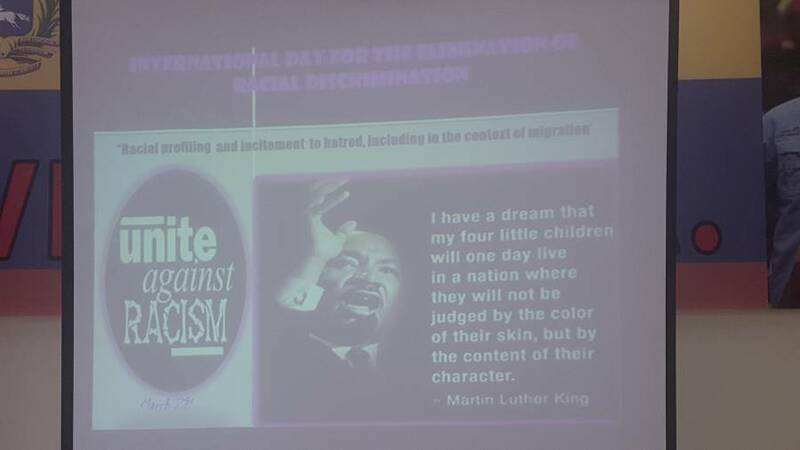 In keeping with the 2017 theme: ‘Racial profiling and incitement to hatred, including in the context of migration,’ a brief overview of the reason behind why the United Nations chose 22 March as the day to educate the world about preventative actions as well as behaviours that contribute to racial discrimination, was shared with the participating public. A video projection: ‘We forgive, but we have not forgotten’ was also part of the presentation. The video related the accounts of 4 survivors of the Sharpeville Massacre, which occurred in 1966, in South Africa — the reason behind the recognition of the day. The activity culminated with an open debate where individuals were able to share their experiences with and opinions about racial discrimination.